Ever set eyes on someone and then realise they weren’t actually physically present? You can read about many cases of apparitions that have been seen. Here are some examples. 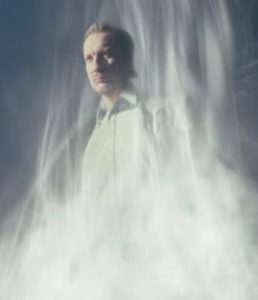 People tend to report apparitions that appear solid and not transparent. Indeed, whatever they are deceive us, as to their non-physical nature, because they seem so realistic in a variety of ways. In some cases insight only comes after the experience has ended. But, if they are reported by others, what can we make of these experiences? What do they mean for us? For many, the notion of something paranormal – such as a supernatural ghost, spirit guide, angel or demon – existing outside the physical laws of the universe, and unproved by science, seems too far-fetched to be taken seriously. So the words we sometimes use for apparitions imply we are dealing merely with figments of an over-active imagination. Words like bogeyman, hallucination, phantom, spook, bump in the night, and spectre. On the other hand there is a large and growing collection of firsthand written accounts by people of seeing apparitions. These are by those who are neither mentally ill nor under the influence of drugs. It is generally accepted that whatever it is that is seen, those experiencing apparitions are by no means always frightened by the experience. They may find it actually soothing or reassuring at a time of crisis or ongoing stress. You may be intrigued by the headlines you hear about voices heard in the head, guardian angels, and after-death communications from loved ones. Yet, perhaps you cannot quite bring yourself to believe such things really exist. Here is a description of the helpful voice heard in the head by climber Joe Simpson who was in a desperate strait. Perhaps you need to see or hear apparitions yourself before you can believe in the supernatural and in survival after death. Or rather is it only in reading several eye witness accounts that you can make an informed judgment about their credibility as evidence of life beyond the grave? If these are real phenomena, you may be wondering, ‘How come they are not recorded on video?’ One view is that, being part of a non-material dimension of reality, no one can record them using any physical means. And if apparitions happen why are they not noticed by all of us? Spiritualists maintain that you often first need to enter an altered state of consciousness. Then you are more likely to notice the hidden non-material realm. Carl Jung (forerunner of transpersonal psychology) wrote about archetypal images. He referred to them as ‘the shadow’, ‘the wise old man’ or ‘the child’ etc. These are said to be things in our mind that have an independent existence. As real as things around us in the physical world. In his system of ideas, Jung referred to this independent dimension as the collective unconscious. In other words, the subconscious mind is not something inside each of us, rather we are in it. Anyone can experience something of this. We all enter the hypnagogic state when we are between sleep and waking. It is then that we do have spontaneous experiences of imagery and sounds not physically present. Wilson Van Dusen (clinical psychologist and mystic) has pointed out in The Presence of Other Worlds that, when half-awake, there is enough self-awareness to remember and even talk to these ‘inner states’. He maintained that these private experiences raise a rather startling issue. This is whether there is a presence of other beings constantly interacting with our lives. Emanuel Swedenborg (spiritual philosopher) wrote extensively of his extraordinary experience of what he termed ‘the spiritual world’. This, he said, accompanied his normal awareness of things in the physical world. He affirmed it was a daily phenomenon for him lasting much of the last 27 years of his life. Incidentally, Swedenborg, who claimed to communicate with spirits while awake, warned against our seeking out spirit contact. It seems that there are malevolent spirits around. They tell lies, impersonate others, and want to harm us. Like Jung’s ‘collective unconscious’, Swedenborg’s ‘spiritual world’ is not something just inside each of us, but rather something we are all in and part of. If true, one conclusion is that inwardly we each are a spirit and not just a physical body. Furthermore, while we are living in our body, we also are in a community with spirits even though we are usually unaware of it. Swedenborg wrote that good people are mainly in unconscious contact with good spirits and selfish people are mainly associated with selfish spirits. We get our good thoughts and impulses from the former and bad ones from the latter. Apparently, we come into the same company of spirits after our death. These match the prevailing character that we have formed in life. For example modest or proud, diligent or lazy, kind or inconsiderate. Swedenborg goes on to state that you are not seen by the spirits with whom you are associated until after your death. He explains this in terms of what we are thinking about. While we are living in the world we are thinking on an external level. However he says the world of spirit involves consciousness of inward matters. However, he says that if our thinking is ‘withdrawn from the body’ we are sometimes visible in our spirit communities because we are then in the spirit. When we are visible, it is easy to tell us from the spirits who live there because we walk along deep in thought. We are silent, without looking at others, as though we did not see them. The moment any spirit addresses us, we disappear. I may possibly see an apparition of a spirit. But do the spirits ever notice an apparition of me? Previous Previous post: Compassion – Where does it come from? Next Next post: Dreams – Personal learning from beyond oneself?